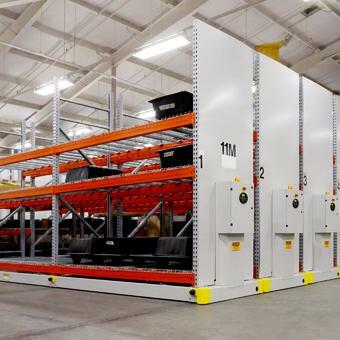 RACK&ROLL 16P Powered Mobile Storage System | Montel Inc.
Make the most of your industrial warehouse storage. 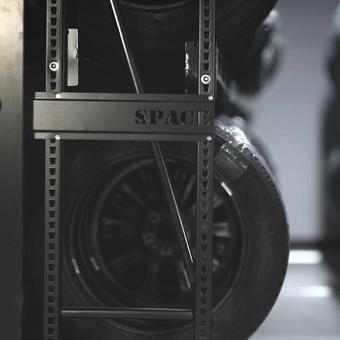 With RACK&ROLL 16P powered mobile storage system, recover half or more of your useful area or double your storage capacity in the same space. 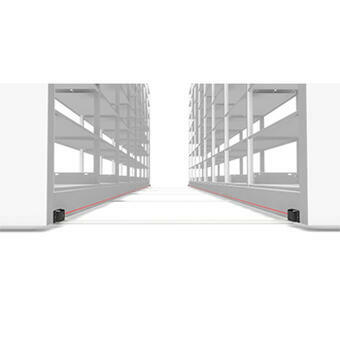 By transferring your racking to heavy-duty industrial-level mobile carriages, maximize the efficiency and minimize the costs of your warehouse storage space. 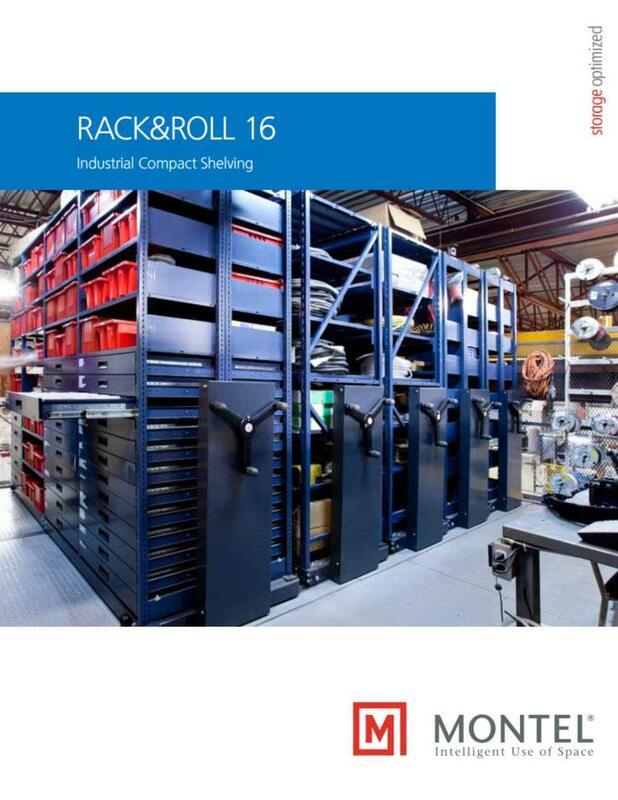 RACK&ROLL 16P allows you to increase your capacity or create more room for production and other activities. 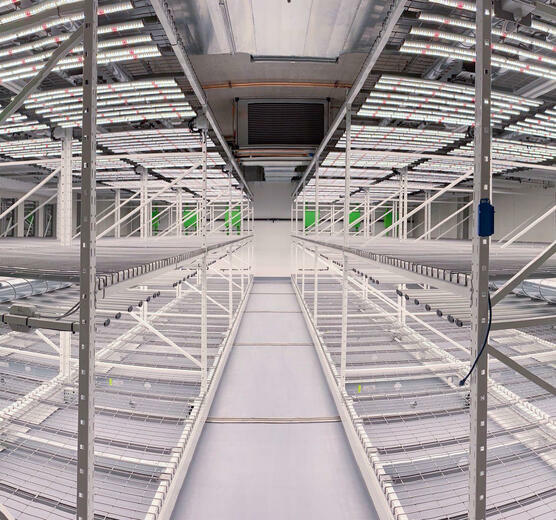 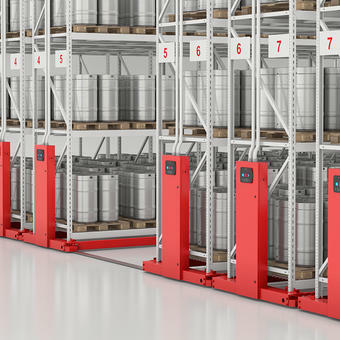 This high-capacity, high-performance solution can free up over 50% of your existing storage area by compacting your racking and eliminating wasteful aisle space. 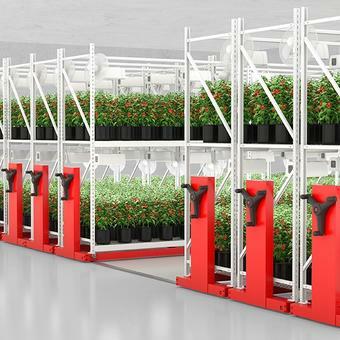 With RACK&ROLL 16P, there’s a rapid return on your investment. 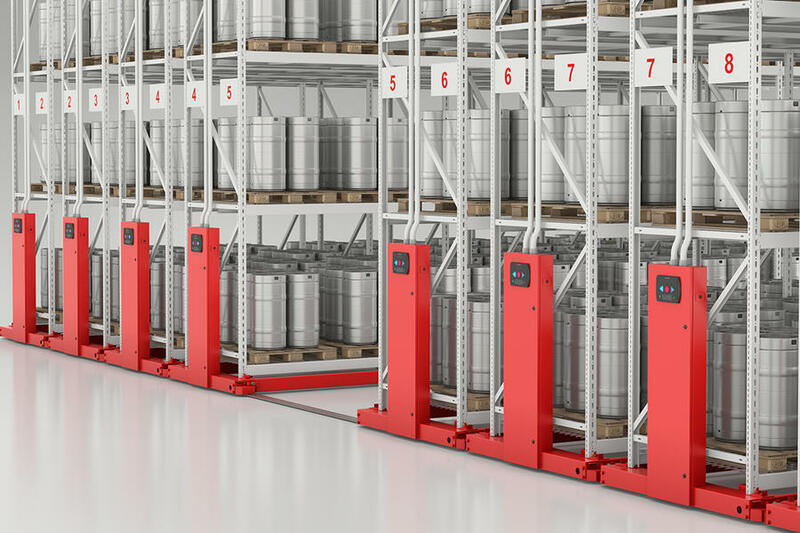 The high-density mobile racking pallet system enables you to lower production costs, streamline workflow and improve inventory management by consolidating the organization of your materials and reconfiguring your floor space. 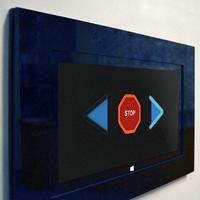 What’s more, it can be customized to suit the needs of your industry. 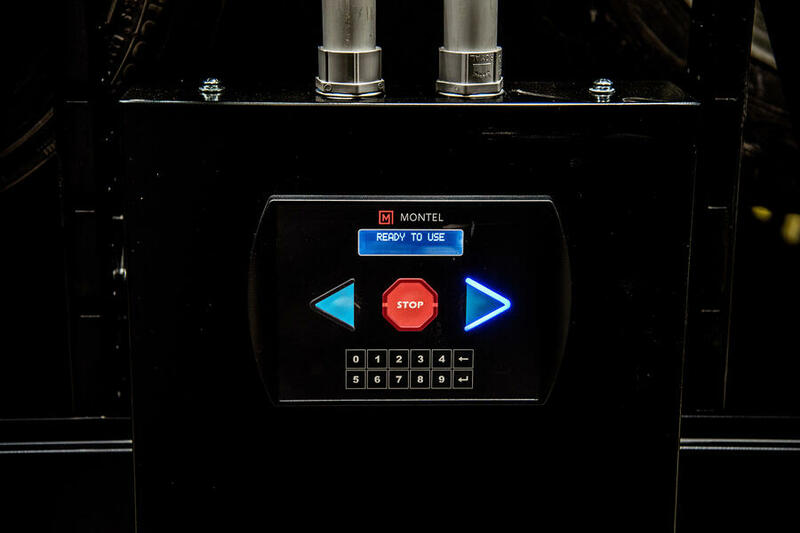 Various modes of operation, such as a simple 3-button system control (with or without PIN code, for restricted access) and a LCD touchscreen tablet control with limitless customized displays. 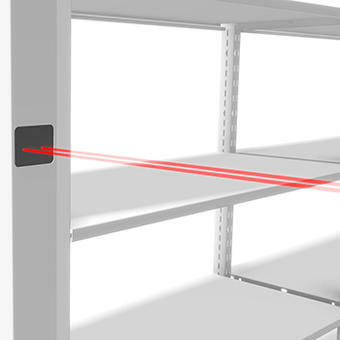 A rail embedded in concrete or fixed on a base. 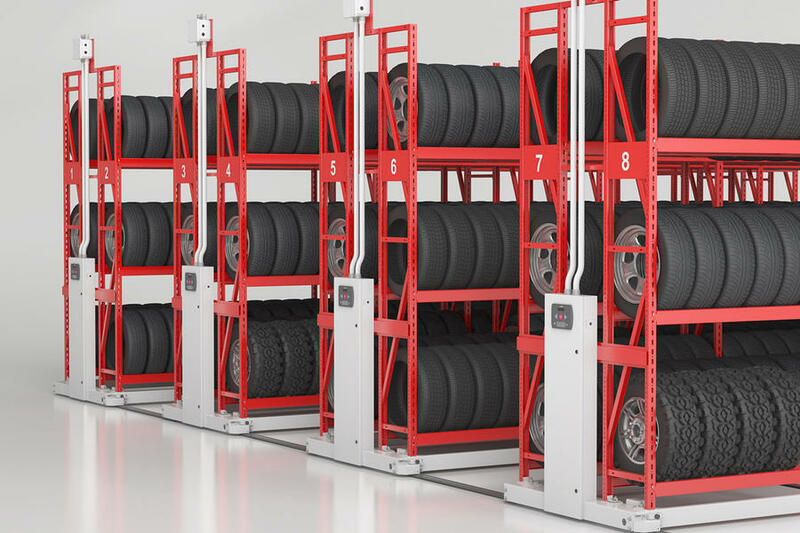 16,000 lbs (7,257 kg) of capacity per double rack section, with a maximum carriage length of 45 feet (13.7 m). 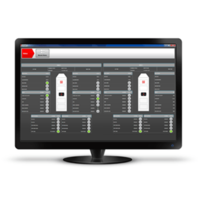 Safety features which ensure compliance with the most stringent regulations. 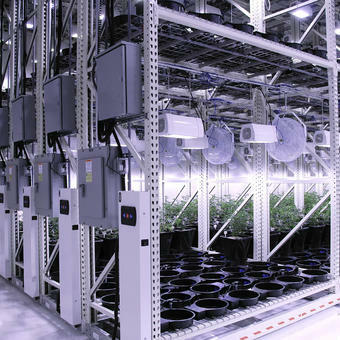 A large selection of accessories allowing user-friendly installation and operation. 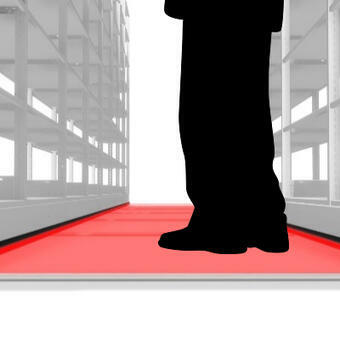 Our patented advanced Aisle LED Guard™ technology. 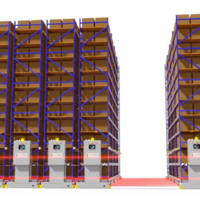 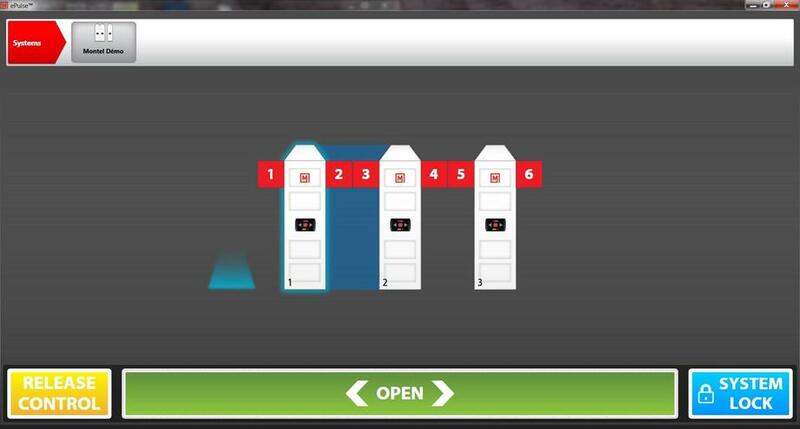 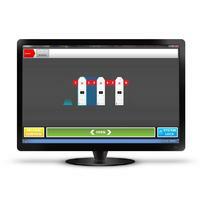 Optional ePulse™ remote monitoring software allowing configuration and remote monitoring of the aisles. 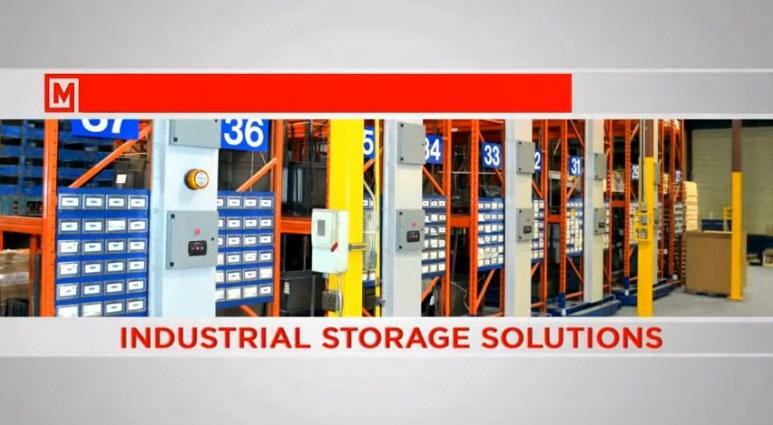 Designed to enhance efficiency and productivity by optimizing your storage. 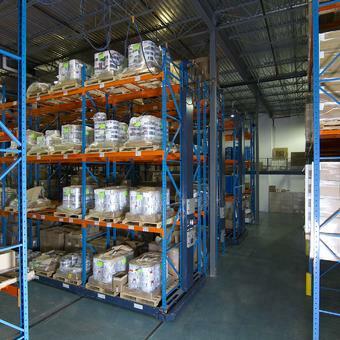 Prevent costs due to the need to buy, build or rent additional space for storage. 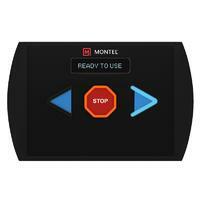 Improved control, organization, productivity and workflow. 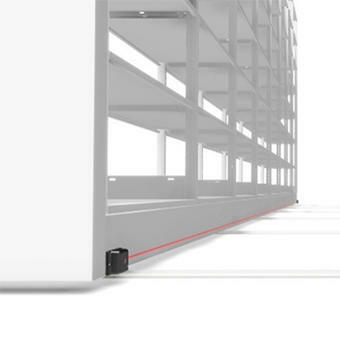 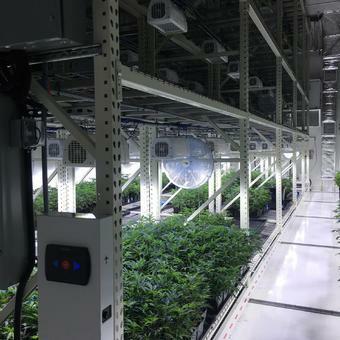 An eco-friendly solution, since it contributes to a more sustainable workspace by reducing your warehousing’s energy consumption and environmental impact. 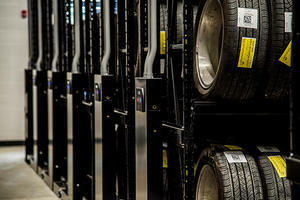 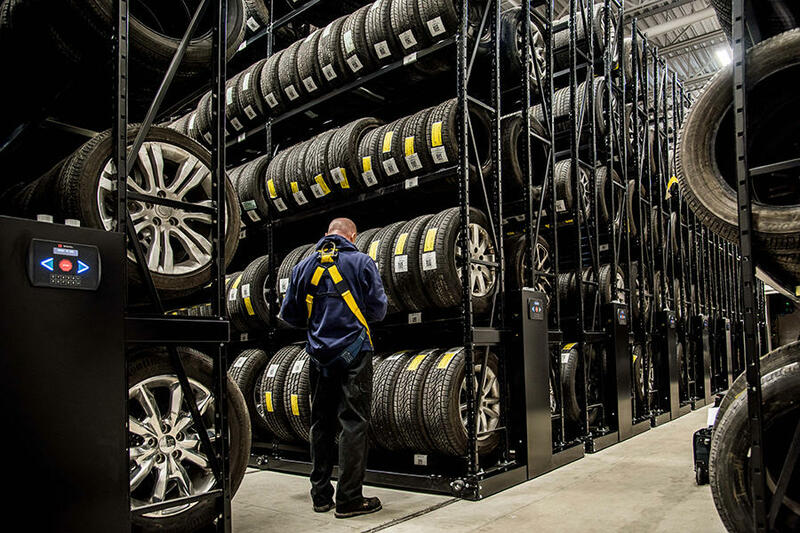 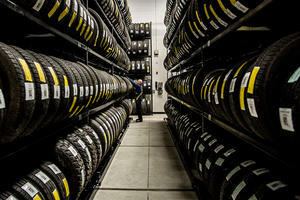 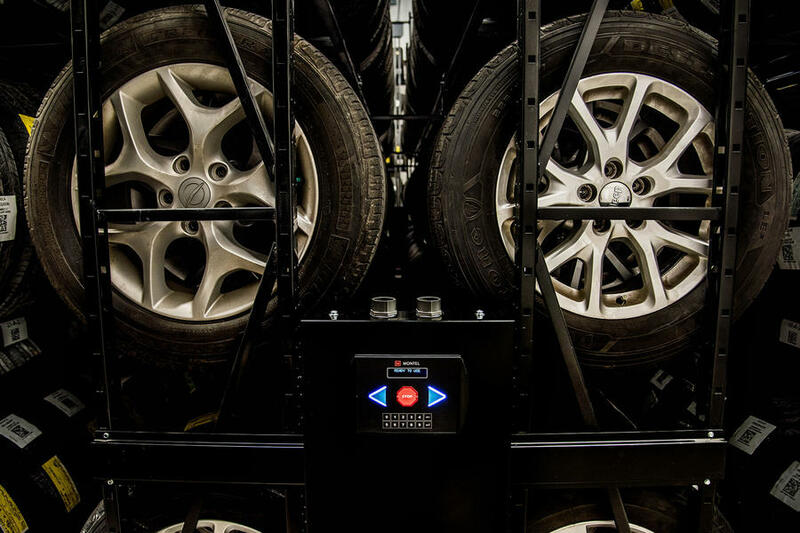 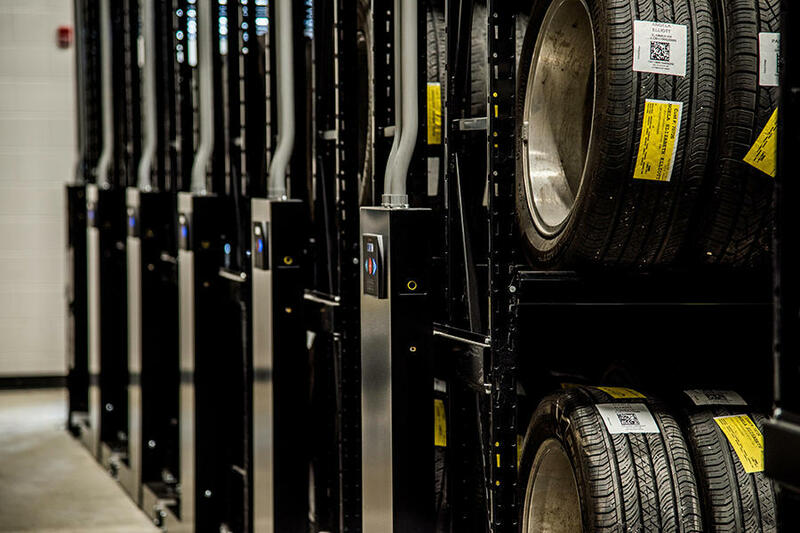 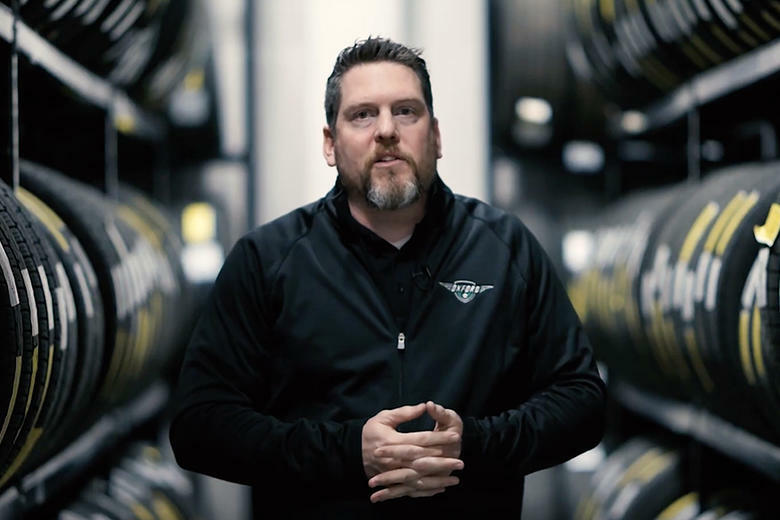 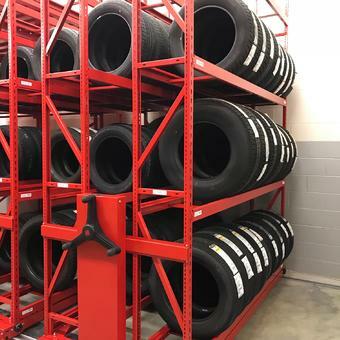 Montel supplied Oxford Dodge with RACK&ROLL 16P electrical mobile racking consisting of 5 levels of storage and allows up to 5,000 seasonal tires to be stored in their new warehouse. 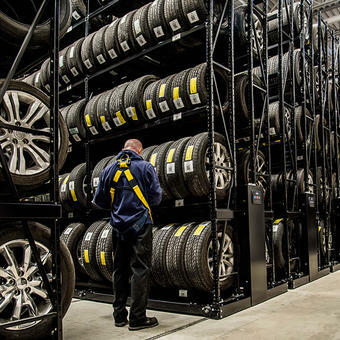 This is a time-lapse of our installation at the Oxford Dodge dealership, in London, Ontario.